The happy traveler is apt to become even happier as he crosses a state line into Vermont or Maine. These two misfits of the continental 48 ban billboards (Hawaii and Alaska do as well). Research has shown blood pressure decreases, the heart rate slows, and overall serenity improves as the clutter of roadside advertising is swept away. And yet. The people of Western Pennsylvania suffer a ceaseless din of billboards, electronic and not, flashing and not, all of which create a sense of entrapment. But on the backroads of Butler County, amidst a landscape of small farms and villages which deserve attention but are denied it beneath twenty-foot-high shrieks for plumbers, diamond rings, buffet restaurants, and rodent-removal, stands one billboard which reads “Be Still and Know That I Am God.” And I tremble. Our duty may be not to run from the inevitable but shore up what we may. Quite simply it would a better world without billboards. Similarly, the world is likely a better place because of the decision made and shared by one man to reject the tools of the techno-Utopians back in 1987. But there is a perspective (which could be interpreted as an excuse) that does not negate Wendell Berry’s decision; a perspective that does not place any hope in salvation through the monopoly of technique. Rather, it believes our efforts to control our brokenness would be better directed towards cobbling community together in neglected corners. Technological accelerationism may seem our society’s immediate fate; our duty may be not to run from the inevitable but shore up what we may. The technification of communication has been ongoing since the dawn of the written language. Plato recounts in Phaedrus a legend in which the Egyptian King Thamus chastises his proud gadget-maker as failing to exercise moral imagination, thereby neglecting to realize the adverse effects of his invention. Our technological impulse to control seems to be a fundamental aspect of human nature, at the core of our existence as thinking beings. Likely it has been thus since we first ate of the apple in the garden. Wendell Berry was able to reject the computer. I think it was the right decision. But his choice and his work have come to us through the connections he made by going to Stanford and Europe, teaching at NYU, earning himself an audience, and allowing the publishing industry to use the best technology at their disposal (including computers) to make his work accessible. Later on, once he was well-established, audiences were able to hear out his reasoning for preferring the pen to the keyboard (a choice I agree with; most of my writing is first done in notebooks with a trusty blue rollerball pen). The computer was still a fundamental part of the supply-chain connecting Mr. Berry to the reader; we are none of us islands and the supply-chain is inescapable except to true hermits. Mr. Berry has written with more awareness than any other living writer of the tension between our individual desires for purity and our societally-imposed participation in compulsive entanglement with the works of the Silicon Valley dreamers. This is not to imply he is a hypocrite, no more than the rest of us. Such accusations are usually intended to paralyze—better to wrestle with the inter-connectedness of our artifacts, our decisions, and our nature as embodied persons. Mr. Berry has written with more awareness than any other living writer of the tension between our individual desires for purity and our societally-imposed participation in compulsive entanglement with the works of the Silicon Valley dreamers. We are all complicit, not necessarily from our own choosing, and it takes more intention and sacrifice to disentangle ourselves even slightly from the knot of global consumption than ever before in mankind’s history. Wendell Berry grew up with the typewriter and printing press; 20th century accelerationism rapidly normalized social media and the internet. Try as I might, I cannot catch and rein in the technology which leapfrogs over us. Sometimes I feel like Tommy Corn (portrayed by Mark Wahlberg) in the 2004 film I Heart Huckabees: I cannot escape the petroleum industry. I cannot escape silicon, or plastic, or the flashing of the screen. But though I cannot escape them, may I not defy them? The trick is not to place much hope in the defiance. Jacques Ellul has told us we must not. The die is cast. Amazon’s Alexa will not cross our threshold (she is apparently always listening and no longer needs to be commanded to “wake”), nor iPads, nor video games, nor Bluetooth, not kiddy-gadgets. The search is always on to wind down involvement with technology’s siren call. But circumstances constrain me. Youthful idealism led me to seek an uncredentialed life: I am a perpetual armchair amateur, and it can be lonely. I have no fellow professors or sunlit classrooms in which to pursue Socratic dialogue; I am a stay-at-home mother who spent a long decade as a child caregiver, observing the full weight of the unintended consequences of our economy and society upon the home, the land, the family. Other armchair amateurs, caught in the confines of suburbia, of work, of the ceaseless din of advertising, have found one another through the threadbare wires not closely guarded enough. Twitter and social media have allowed me, an arm-chair amateur, to use the system’s tools to advocate for a different vision. While I am surrounded by the cultural consequences of all these wires and flashing screens, these tools have permitted me to find other wandering voices. Do I talk about Wendell Berry on Twitter? Guilty. But I have also started several clubs through Meetup which allows those of us who share these interests to meet face-to-face. Other armchair amateurs, caught in the confines of suburbia, of work, of the ceaseless din of advertising, have found one another through the threadbare wires not closely guarded enough. We schedule gatherings through Facebook to watch Wendell Berry documentaries. We talk on Twitter and move on to start discussion groups elsewhere; people drive from 50 miles away to come discuss the Inklings, those foes of Mordor, once a month. We gather in an old park to serve the homeless. Imperfect? Always. But Joel Salatin wrote that expecting a first-time cook to bake a perfect cake is as silly as expecting a baby to suddenly stand and walk rather than stumble. 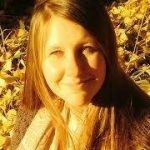 Social media, in particular private Facebook groups and Twitter connections, have allowed those of us afraid of stumbling to receive mutual encouragement, advice, and solidarity. There is a risk I am arguing from circumstance rather than principle; that my own situation has led me to false means which give an illusion of solutions, and my attachment to them risks emotionally binding me as close to my own utopia as any Google-visionary. Is social media the Ring? Am I arguing as Boromir did, that with caution I can use it wisely? Perhaps. The fruit remains to be seen and no one’s intentions should be free of suspicion, least of all to themselves. I have no faith that those of us who have come to appreciate the works of Wendell Berry will change the course of human history. I have no faith that those of us who have come to appreciate the works of Wendell Berry will change the course of human history. This is the story of risk versus control. We will avoid loss of control, placing our hope in pleasure, and shun the causes of grief; or, we will accept even the Cross as a sign of the benevolence of a Creation imbued with God’s love for us, and His hope that we will come to put down the temptation, accept the failure of our hopes and the smallness of our appetites, and make love of God the meaning of our lives. Perhaps the task is not to change history. 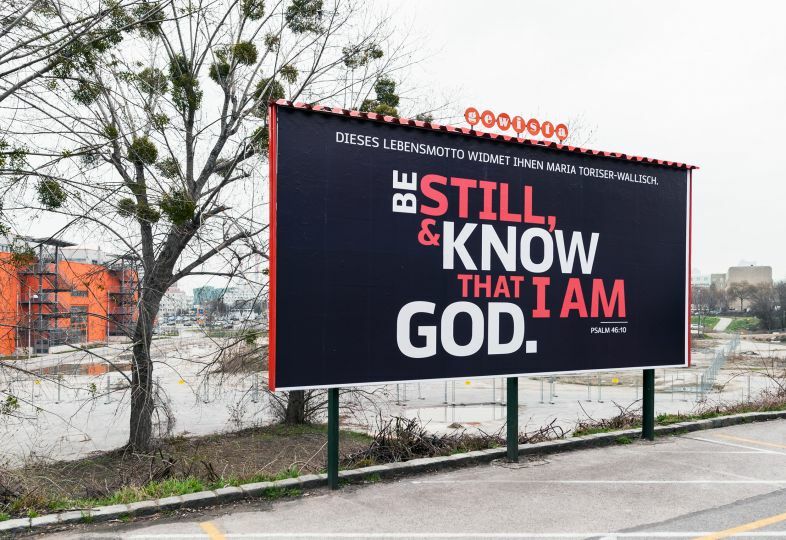 Perhaps the task is to use social media to find one another, to realize we are not alone, and to read the words, startling after the bend: “Be Still and Know that I Am God.” Yes, it would be a better world without billboards, without computers, without social media. But when the advertisers close-in on our hearts, assaulting our humanity, the mere chance of constructing a thought … well, if we can’t go to Vermont we can at least be reminded that all of this is just a revolt of noise against reality’s blessed silence. Then, perhaps, we can be alone together, and build off that alone-togetherness in order to return to our communities and push up our sleeves (or ready our index finger) in pursuit of a different vision for a way of life.